“Handling the Sauce view” - how immature would I sound if I said that title made me laugh? Today’s post isn’t terribly exciting. I’m basically going to cover how I got one more screen in my app working. But I’m ok with this being kind of boring. As I document this process, somethings will be complex and some will simple. This is one of the simple items that I think is still useful to cover. If you remember, in the last post, I detailed the setup of the back end using IBM Bluemix. I got a Node.js application up and running (both in the cloud and locally) and I connected my first data view from Cloudant, to Node, to my Ionic. The mobile-side was especially simple as all I had to do was update my service to call Node.js instead of creating random data. In today’s update, I’m building the “Sauce view”, or what you see when you click on review. 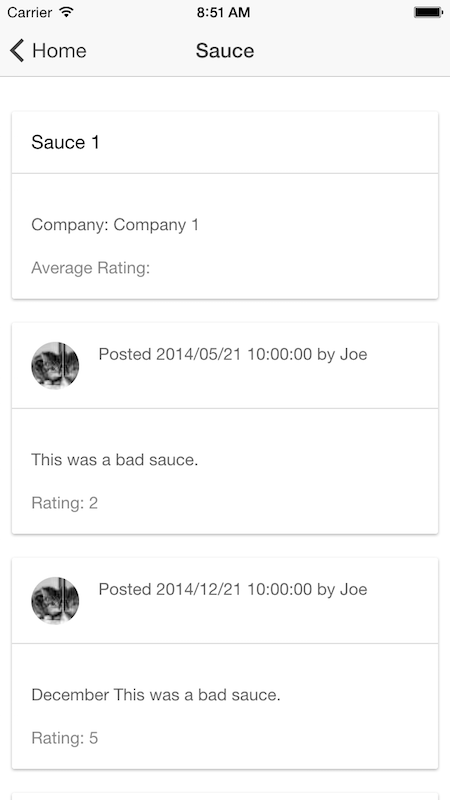 It should show information about the sauce and all the reviews. I began by building the server side. I’ve already got a connection to Cloudant, so I literally just needed to add a route and a call. But for now, I don’t care. I just mention it as something to consider. 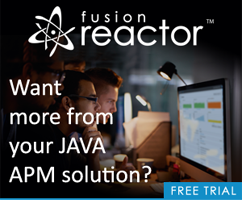 JSON is small, and Ajax is awesome, but we still shouldn’t be wasteful about the crap we send back and forth, right? cc is an instance of the Cloud Code API I’m sharing in the service. I do modify the code a bit here, changing _id to id. I also slightly modify the result in getFeed too. Thinking about this, I believe it may be best for me to do all these modifications on the server so that my client-side code can use it as is. I don’t think that’s a super crucial modification so I won’t worry about it now. Ok, that’s it for now. 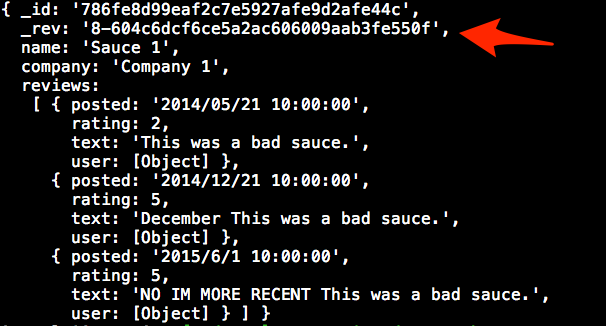 Don’t forget you can see the complete source code here: https://github.com/cfjedimaster/SauceDB. Next, I’m going to try building the Add Sauce view. This will require a valid login as well as security on the Node side.